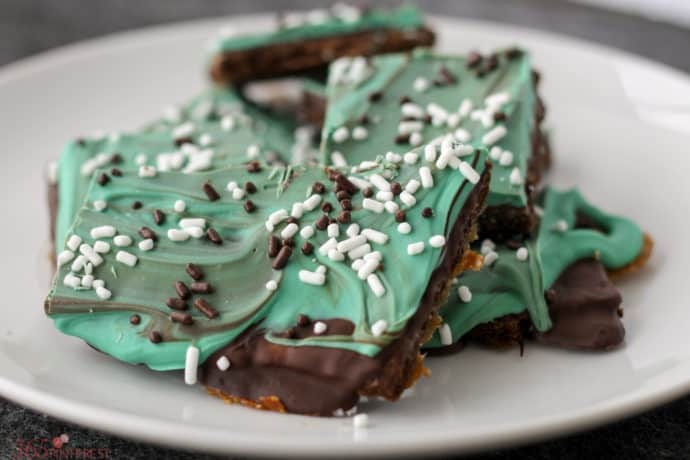 Chocolate Mint Graham Cracker Crunch is such an easy recipe to make and serves a crowd. 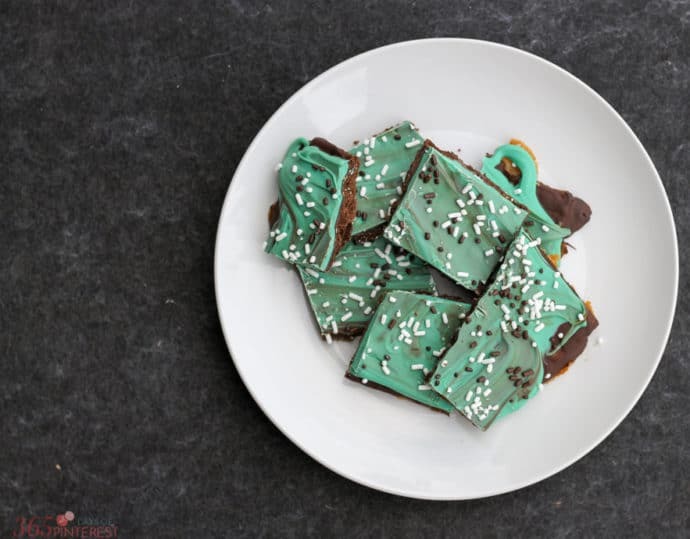 It’s a no-fail candy recipe perfect for holidays! You know that Saltine Toffee stuff that everyone goes nuts over at Christmas? 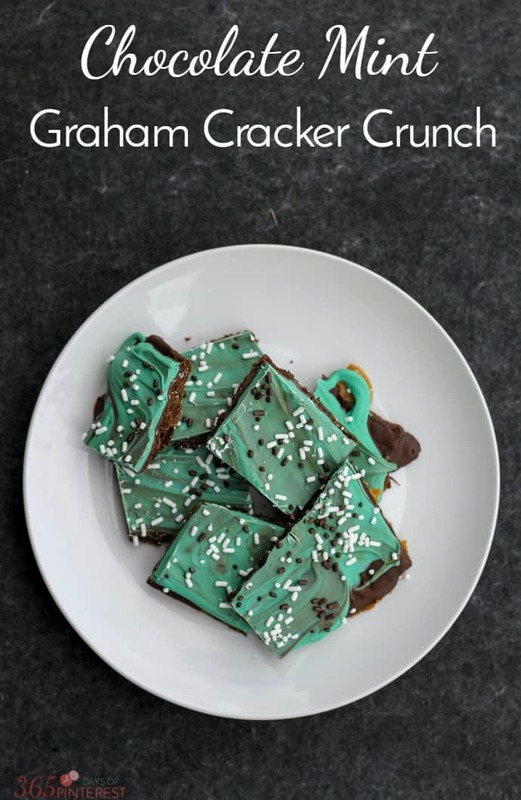 This Chocolate Mint Graham Cracker Crunch is similar to that, only better. There’s a crunchy chocolate graham layer covered in homemade caramel toffee layer and then melted chocolate. On top of all that is the colorful candy later and then sprinkles! I originally made this for St. Patrick’s Day, but it’s perfect for Christmas, too. You can even add some red and green candies on top for extra goodness! I don’t like corned beef. I’m not a huge fan of cabbage. Potato soup makes me sad. Shepherd’s Pie turns my husband’s stomach. So, I guess you could say we’d throw a terrible St. Patrick’s Day party. For me, when it comes to St. Patrick’s Day, the closest I get to authentic is green. What’s the best way to eat green food, you ask? (Aside from a nice healthy kale salad) Mint! 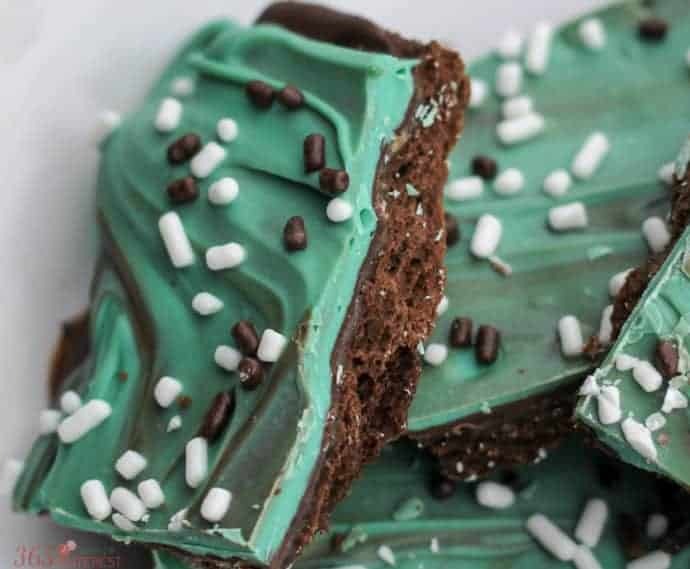 More specifically, chocolate and mint. I am a huge fan of chocolate mint. This sweet treat is a variation of my Valentine’s Day Graham Cracker Crunch from last year-Chocolate Mint Graham Cracker Crunch. 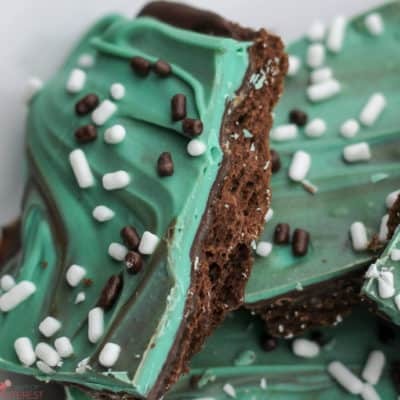 Chocolate Mint Graham Cracker Crunch is a no-fail candy recipe that's perfect for Christmas, St. Patrick's Day or any time you're craving chocolate and mint! Preheat oven to 350 and line a baking sheet with parchment paper or a silicone mat. In a small sauce pan, bring the butter and brown sugar and salt to a boil. Remove from heat and let sit for about 3 minutes. Pour the brown sugar mix over the crackers, being sure to cover each one. Remove from oven and sprinkle chocolate chips over the crackers. Let sit for a couple minutes to soften and then spread the chocolate over the crackers. Melt the candy melts according to package directions then stir in the peppermint and pour over the chocolate. Carefully spread it out to cover the chocolate layer. A little swirling and mixing is OK-it's pretty! Top with sprinkles and let harden (you can speed up the process by putting the pan in the freezer for about 10 minutebefore cutting into pieces to serve. 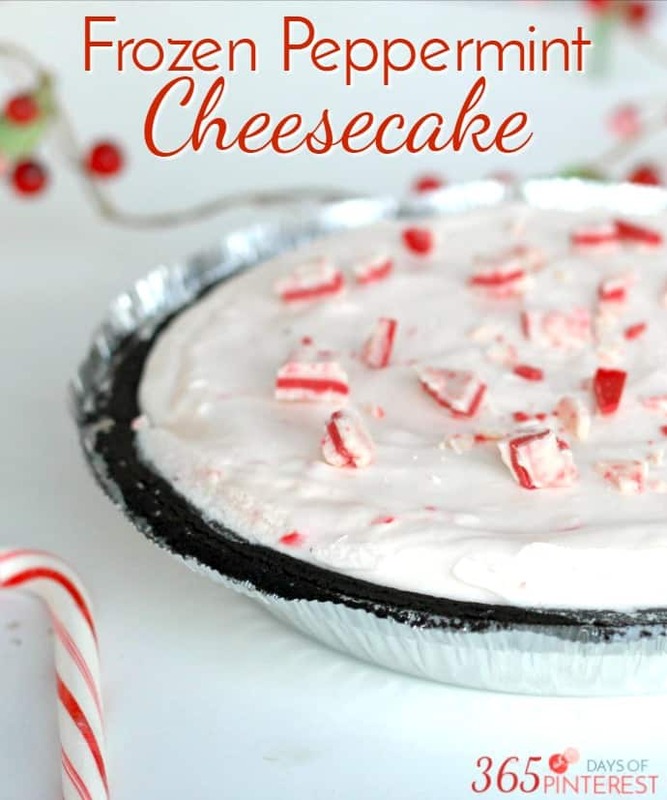 If you like mint, you’ll love this Frozen Peppermint Cheesecake!